At Edinburgh Bike Fitting, we offer bike fitting services to cyclists of all disciplines and abilities. Combining a wealth of experience, and the latest technology from Retül, Geobiomized, Leomo and Bioracer, we’re committed to providing the best service. Having fitted thousands of cyclists, including numerous elite level athletes ranging from Commonwealth Games medalists and National Champions to World record holders, we draw on extensive experience to provide you with your best fit. To make a booking please get in touch, or Book Online Please note, we have no official opening hours, we are open by appointment only at your convenience. Edinburgh Bike Fitting was established in 2014 by Douglas Shaw. We are a company committed to offering the highest standard in bike fitting. Using premium technology such as Retül motion capture, Gebiomized pressure mapping, Leomo motion analysis, and, Bioracer virtual wind tunnel. While we recognise that there is no tool that can replace the experience of a well-trained fitter, we utilise some of the most sophisticated technology available to compliment our work. As of 2018 Edinburgh Bike Fitting Expanded its offering into Cycle Coaching, Physiotherapy, and Nutrition and Strength and Flexibility classes. With plans for more, Edinburgh Bike Fitting looks forward to a bright future. Our philosophy is to deliver a multi-disciplinary evidence based approach, to continually self-educate, develop and improve our offering to clients. We offer free consultation for anyone that would like more information on bike fitting, additional services and what we can do for you, so feel free to get in touch! Edinburgh Bike Fitting proudly hosts a multidisciplinary team with vast experience in cycling and across a variety of sports to offer clients the best information and evidence based practise across a range of disciplines and services. Douglas Shaw MSc BSc/Hons, Founder of Edinburgh Bike Fitting, Lead Bike Fitter. Dougie is our lead bike fitter, and since founding Edinburgh Bike Fitting in 2014, has seen more than 1400 cyclists in his studio. Building on his MSc in Sports Performance Enhancement, he has gained accreditation as an IBFI Level 3 Bike Fitter, certifying that Dougie is among the best in the world in his field. Rory Downie, MSc S&C, NSCA – CSCS, SnC Lead, Bike Fitter, Endurance Coach, Massage Therapist. Rory is an ex-professional triathlete and multisport athlete, specialising in off-road triathlon. He has represented GBR at an elite level in 3 ITU World and 4 ETU Cross Triathlon Championships and was ETU U23 Cross Triathlon Champion in 2012. Rory is an experienced triathlon and S&C coach. Holding an MSc and a Certified Strength and Conditioning Specialist (CSCS) with a focus on endurance sports he will be putting his skills to coaching and bike fitting. He has worked with athletes of all ability from having never competed in sport or stepped into a gym to athletes who have competed internationally and at a major games. Rory will also be providing sport massage with an ITEC level 3 sport massage qualification and kinesiology tape application. Kenny Duffy MBCHB BSc (Hons) MCSP HCPC, Physiotherapist and Medical Doctor. Robyn is an experienced knowledgable nutritionist with a special interest in cycling and triathlon. her unique combination of experience and qualification allows her to offer a nutritional support package to athletes at all levels of competition. Robyn is a Registered associate nutritionist with the association of nutrition and a graduate registrant of the sport and exercise nutrition register, a top competency based register of sport and exercise nutrition professionals. To compliment those associations she is also a UK Anti-Doping (UKAD) Advisor and has an ISAK Level 1 qualification. 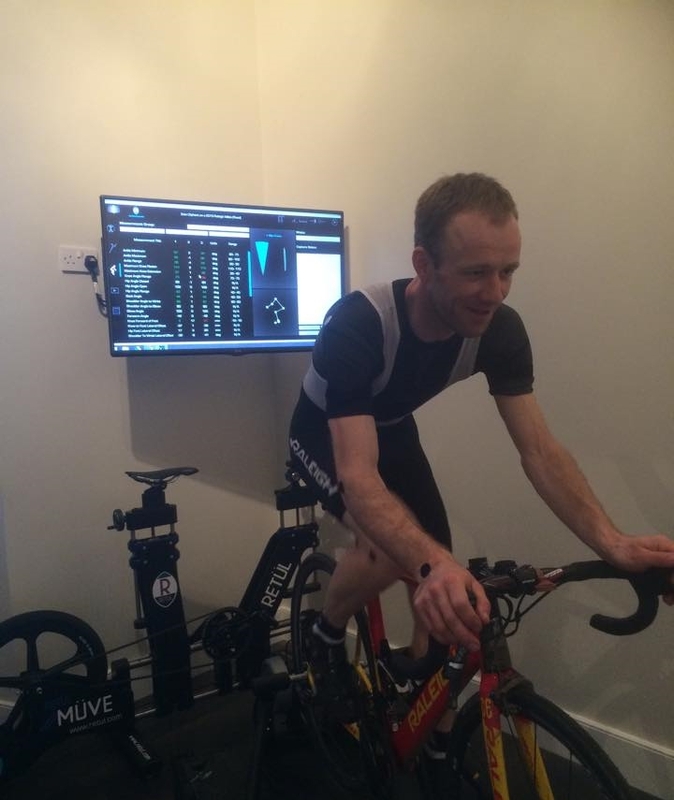 Edinburgh Bike Fitting has proudly established itself as the fit center of choice for a number of top Scottish cyclists, helping them to achieve their goals at an elite level. Rest assured that the same care and detail that went into their bike fit goes into yours. Click here to book your fit now! 2006 Commonwealth Games Bronze medalist. A good bike fit promises greater comfort, increased power output, improved efficiency and reduced injury risks. If these sound like something you’d be interested in, then book in for a fit today! What should I expect from a bike fit? During a short warm up on the bike, we will discuss your intended outcomes for the session in addition to any current or previous injuries that might affect the fit. After addressing any obvious changes, we will run through a series of feedback loops to determine any areas that require further attention. We will conduct a basic physical assessment off the bike to investigate if any physical limitations may be affecting the fit. If necessary, we can work through a series of exercises to improve your fit further. Using Retül, we will confirm that any changes we have made to your bike or you, have improved your position. Provided that there aren’t any componentry changes that we can’t supply in store, we will scan your position with Retül and send you a report of the final fit. 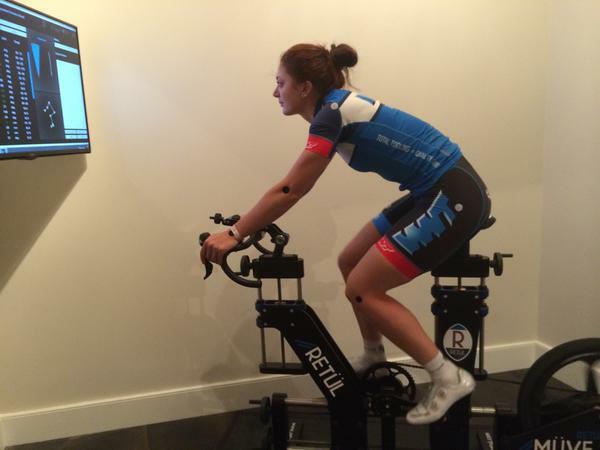 Cycling clothing is needed to ensure correct sensor placement for the Retül motion analysis. Ideally, all fits should be conducted in a cycling jersey, shorts and shoes - though it is possible to fit with flat pedals if necessary. It’s recommended you bring trainers and any orthotics you may have, along with spare stems and saddles that you have built up over the years, if applicable! If you’re being fitted for a Time Trial or Tri Bike fit, you should also bring the helmet you intend to use. Do I get anything to take home? Yes, every fit is finished with a Zin which provides you with your set up measurements for future reference. We will then email you a copy of our fit report at the end of every session. We are based in Leith, Edinburgh, Scotland. Although we are based in our Edinburgh studio we offer portable bike fitting all over Scotland, we just need a livingroom size space, garage or whatever space you have to work with, no harm in getting in touch to ask if your space may suit. Yes. For groups of three or more, we can offer a reduced rate provided that you pay at the same time. For teams and groups of five or more, we can offer you a further reduction on all fitting services. No need to worry! We have a state of the art Retül Müve bike which can precisely replicate the position of any bike on the market. If you’re in the market for a new bike, then this will be used as part of our Frame Finder Session to determine the best bike for you. What bike can I get fitted on? Road, MTB, Cross, Track, TT and Commuter bikes, including E-Bikes. We will happily accommodate any style of bike. A bike fit can last between 90 minutes or so for a follow up to 6 - 7 hours for our premium services. See our services list for specific information on each session. We are generally fairly flexible and understand life can get in the way of appointments made. You may cancel or rearrange your appointment within 24 hours with no charge and no love lost. Unless it’s an emergency, if you no-show without getting in touch, that’s bad karma you will have to deal with for the rest of your life. There is free street parking outside. We accept card payments as well as cash. We have no opening hours, we are open by appointment to suit you.